Ever since the beginnings of Traditional Chinese Medicine more than 2500 years ago, it has been know that humans don't just have a physical body but also a "subtle" energetic body to consider for health. Over 30 years of research by the HeartMath Institute confirms that there is a large electromagnetic field emanating from the heart that is 100 times stronger than the field around the brain. This field is also directly impacted by our emotional states. Heartmath has found a 75% correlation between our emotional state and our heart rate variability (HRV) suggesting emotions, in part, may be electromagnetic in nature and directly impact physiology. The fact that humans aren't just powered through biochemistry, but also by factors governed by the science of physics like electricity, magnetism, light and even quantum phenomenon are all well documented. Whether we are using conventional medical diagnostic tools like CAT scans, MRI scans, HRV, ECG or EEGs, these are all tools relying on the electrical nature of the body, or its invisible subtle energy fields. What is a Bioenergetic Scan? What Does it Do? How Can it Help? More than thirty years of research by Peter Fraser, a scientist and Australian Professor of Acupuncture studying the "human body field" as he termed it, resulted in the Provision scanning software, which can detect imbalances or distortions in our subtle energy fields. The bioenengetic scan is a revealing whole-being scan to assess your body, and body field, and identify the distortions in energy and information flow. It provides a snapshot of your body field in real time. The body field is an intelligent, self-organizing energetic structure that acts as a master control over biochemical processes in the body, mental and emotional states, the flow of energy in the body, co-ordination and much more. The scan assesses the body field comparing it to the optimum information, as researched by Peter Fraser. During the scan, the body field is matched to the ideal or optimum information, then imbalances or distortions in the field are highlighted. The human body field is made up of big fields and subfields. The scan shows all of them, and prioritizes which distortions and imbalances need most attention. The big fields scan shows where there is a misalignment of a person's body field with major earth axes such as the equatorial, polar and vertical axes. Body misalignment with these fields is associated with some health issues, and restricts the body's ability to adapt and reorganize to a healthier state of being. At the beginning of any therapy, it is considered a high priority to first address imbalances in any of the three axes and the big field. Each organ and system in the body has its own field, such as the liver, heart, nervous system and immune system. All 16 of these systems are assessed in the scan. Additionally, all 12 pathways of energy in the human body field that support information exchange throughout the body, known as meridiens in Traditional Chinese Medicine, are also assessed. Finally, the scan assesses for blockages caused by unresolved emotional trauma. Extensive research has shown that emotional trauma creates the energetic distortions, which can be identified in the bioenergetic scan. Imbalances and distortions flagged by the scan can be corrected using Infoceuticals (and the optional miHealth device) to help balance the body field, which in turn allows the biochemical, mental and emotional processes to function better, thus supporting the client back to optimum health and well being. This is how the scan provides a very holistic approach to a client's biochemical, energetic and psycho-emotional well being. ​A great feature of the NES Health bionenergetic scanning system is that clients can scan themselves from anywhere in the world right at home. As part of the Getting Started Initial Assessment, new clients receive a scanning device by mail and simply download some software on to their computer. The scan takes less than 30 seconds and once completed, it is automatically emailed to the practitioner. Click here to work one on one with Tamara. Distortions in your body-field indicate where information transfer processes have broken down or where information regulation has gone awry. It takes information to correct information. So to correct imbalances in your body-field, you need to provide your body-field with the information it needs to resume normal and efficient functioning. That's the job of the NES Infoceuticals, which are liquid remedies containing microminerals that are encoded with the optimum information your body-field needs to "reset" itself. 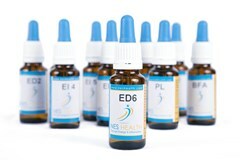 Simply stated, Infoceuticals stimulate the body's natural self-healing response. *Infoceutical recommendations specific to your scan results can be purchased after the Getting Started Initial Assessment at additional cost. 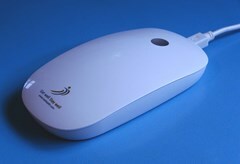 ​Clients can also optionally purchase a Pulsed Electromagnetic Frequency (PEMF) device called the miHealth for use at home. Simple to use, the NES miHealth is a compact, handheld PEMF device, which releases energy blockages, stimulates trigger points and corrects energy flow within minutes to rejuvenate the body. It also supports the body by assisting the important information delivered by the NES Infoceuticals to flow properly to where they are needed. The information on this website is not purposed to replace professional medical diagnosis, treatment or even advice. You should always consult a qualified healthcare professional with questions about any medical condition. The information is not a substitute for medical or psychological treatment. Any results presented on this website do not constitute a warranty, guarantee, or prediction regarding the outcome of an individual for any particular issue. Tamara Younker, and Optimal Wellness Living, accepts no responsibility or liability whatsoever for the use or misuse of the information contained on this website. We strongly advise that you seek professional advice as appropriate before making any health decision.